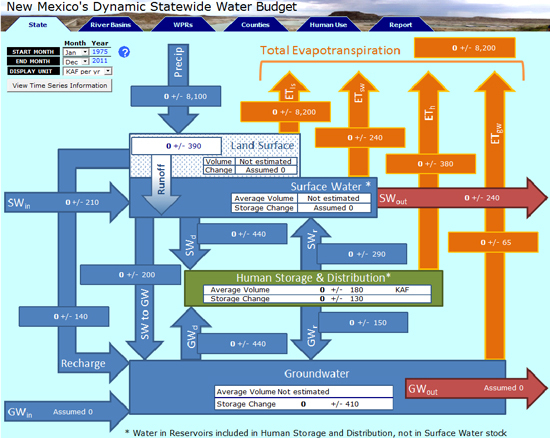 As part of the Statewide Water Assessment, NM WRRI, Tetra Tech, UNM, and other affiliates have completed the first version of the Dynamic Statewide Water Budget Model (DSWBM) for New Mexico. This is an effort to account for the origin and fate of New Mexico’s water resources through time. Public access to the model will be available in the near future. Users will be able to set the model to run for any time period from January 1975 to December 2010 in monthly increments, and for any of four spatial resolutions: state, water planning region, river basin, and county. The main goal of the DSWBM is to provide a consolidated account of all of the historical trends and to forecast future trends of New Mexico’s water resources in an easily accessible format. The model is designed to incorporate all water in New Mexico at any given time. This is done through the use of “stocks” and “flows.” Stocks are the given amount of water in one area at a time. Flows are the movement of water between these stocks. Four stocks are used in the model: the land surface (includes moisture in vegetation, etc. ), surface water (rivers and streams), human storage (irrigation canals, reservoirs), and groundwater. Because groundwater totals are largely unknown, the model estimates the change for a given time period. There are 16 fluxes that represent the change between these stocks and within the system and change in and out of the system. 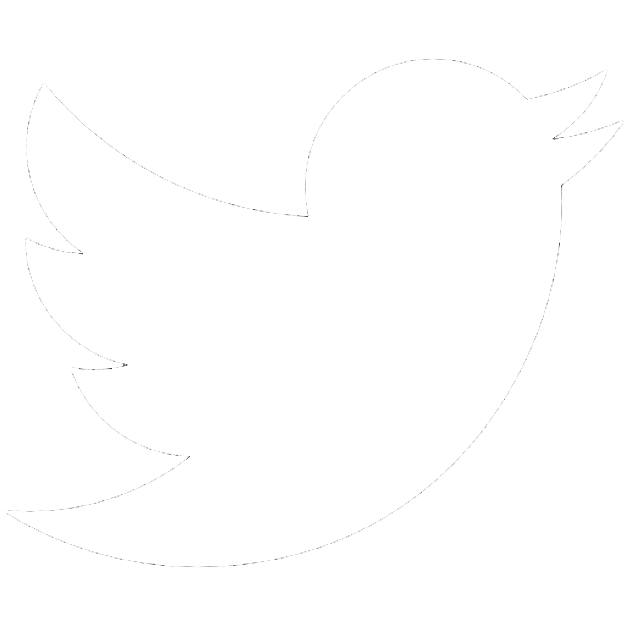 Ten of these are calculated from outside data, independent of any other flux. Four are closure terms and are calculated as differences between certain stocks and fluxes. The last two are groundwater fluxes, considered to be zero at all levels. Outside data used in the model includes PRISM (PRISM 2014), NM-OSE water use reports (Longworth et al. 2005, Longworth et al. 2010), U.S. Geological Survey gage data and USGS groundwater reports (2015), and data produced from other parts of the Statewide Water Assessment project. The ability to choose any spatial area for any time period (1975-2010) in a timely manner makes this tool very flexible. It allows for quick comparison to other research as well as providing baseline calculations for water changes in New Mexico. The model will also be openly available for use to anyone. Moving forward there will be continual improvements made for enhancing the functionality of the online model for the user, including information for each flux and stock as well as improved data visualization options. The project is transitioning into year three and will begin to incorporate scenario projections into the model for future water estimates. Project collaborators include Jesse Roach (PE, PhD) and Ken Peterson (MS), Tetra Tech Inc.; Bruce Thomson (PhD), UNM; Vince Tidwell (PhD), Sandia National Laboratories, and Joshua Randall (MS), NM WRRI. Longworth, J. W., Valdez, J. M., Magnuson, M. L., & Richard, K. (2013). New Mexico Water Use by Categories 2010. New Mexico State Engineer. Longworth, J. W., Valdez, J. M., Magnuson, M. L., Sims, A., Elisa, J., & Keller, J. (2008). New Mexico Water Use by Categories 2005. New Mexico State Engineer.